Property Innovation Labs (Pi Labs) – Europe’s first proptech-focused venture capital platform, has brought onboard the pioneering property start-up The Collective as a joint venture partner for the Pi Labs Accelerator, a groundbreaking pre-seed investment programme for proptech startups. From this week, the Pi Labs Accelerator will move into a co-working space at 14 Bedford Square, London, The Collective’s headquarters. The move comes as Pi Labs repositions from being solely an accelerator programme to a venture capital platform investing in early stage ventures seeking funding from pre-seed stage to Series A. With this platform expansion, Pi Labs is partnering with innovative individuals and companies for different areas of its business. The first of these is a JV partnership between the Pi Labs Accelerator and The Collective. Already home to a number of the UK’s leading proptech start-ups, The Collective’s 14 Bedford Square counts progressive interior designers DH Liberty and BamBambi among its members as well as online property auctioneer Bamboo Auctions and residential property developer IV Property. The Pi Labs Accelerator was launched to identify, mentor, and accelerate high-calibre start-up ventures which have the passion and ability to create scalable businesses that will disrupt the property industry, and has helped launch, fund and mentor 10 successful businesses since 2014. 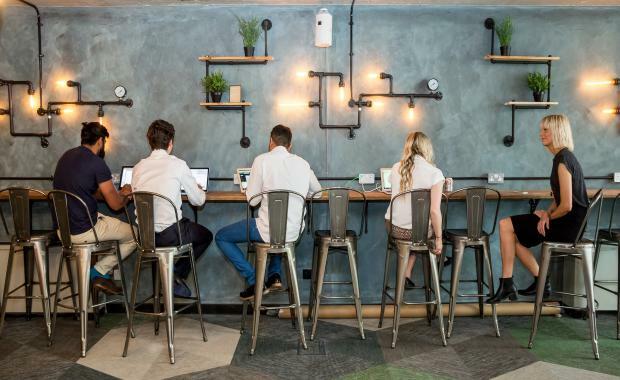 The Collective itself is one of the most innovative property firms in the UK and operates a number of co-living and co-working spaces across the capital. Positioning London at the forefront of the global co-living revolution, The Collective has built a 550-bed community-driven residential concept – the largest of its kind in the world – that will launch in May at Old Oak and offer Londoners a completely new way of living. The 11-storey development will also house 400 entrepreneurs in a co-working space that will open in September 2016. Pi Labs will have the option of using this co-working space to tap-into the site’s community of entrepreneurs. Apart from providing space for the Pi Labs Accelerator, The Collective will also offer mentoring to start-ups on the programme alongside access to a series of business-centric events and talks which will take place at 14 Bedford Square throughout the year. The next cohort of start-ups for the Pi Labs accelerator programme will be announced this month.